…and boy did we ever! 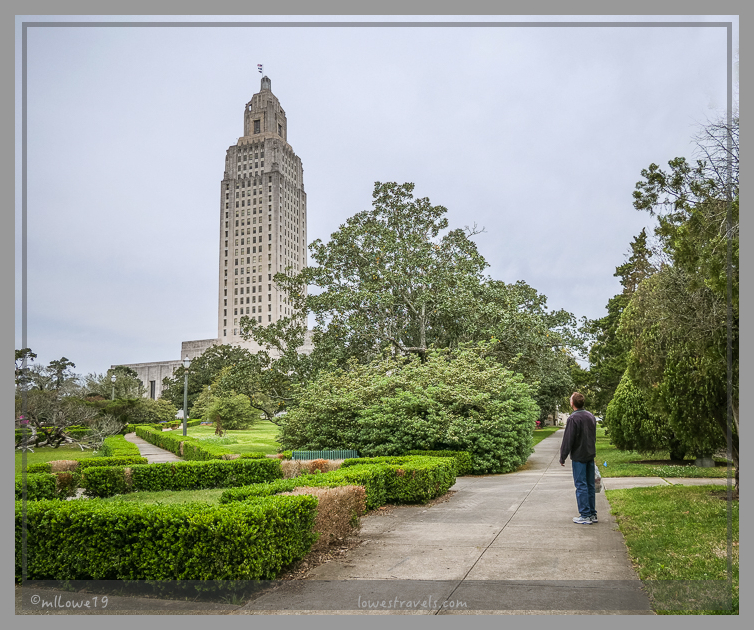 But first, since we were camping in the capital city of Louisiana – Baton Rouge – we wanted to tour the state capitol building. Having visited eight so far, we continue to be amazed by what we learn at each one. So how about the history and unique features of this capitol building? Firstly, it’s the tallest one in the country. 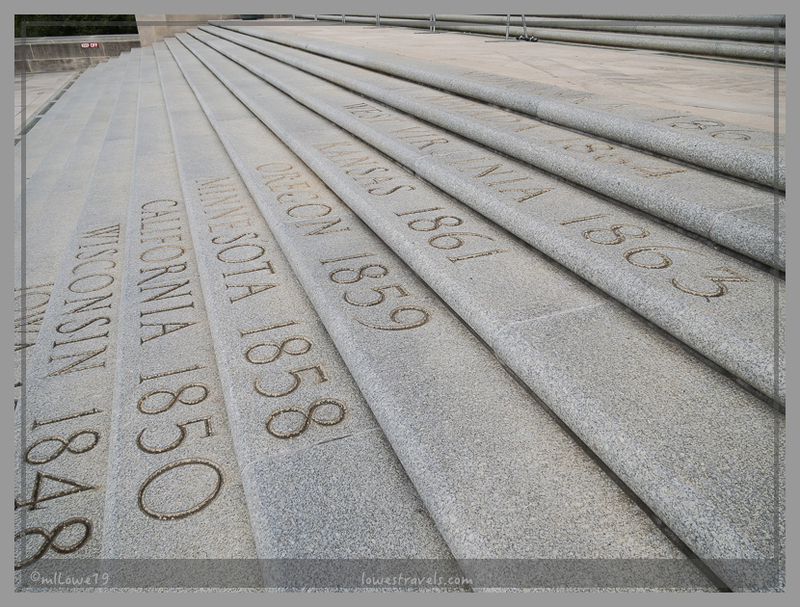 Secondly, this one displays the names of every state in the order of their admittance into the union on its front steps. 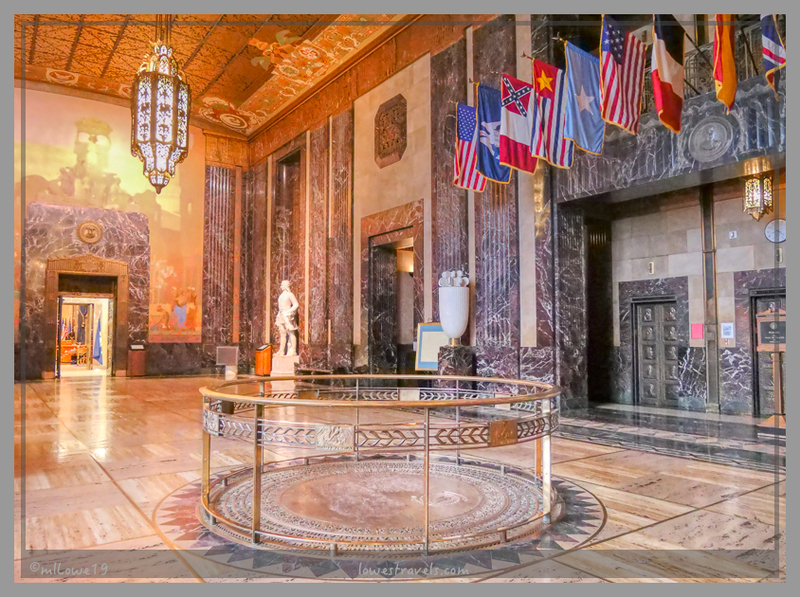 An interesting fact – a great proponent in constructing the building, Governor Huey Long, was assassinated in the hallway of this very building he helped to create. Lastly, this building was constructed similar in style with two other ones we’ve visited, in Nebraska and North Dakota. All three were completed at about the same time and have unique stories to tell. After the tour I began my first foray into Cajun eating for this trip…3 pounds of absolute deliciousness! 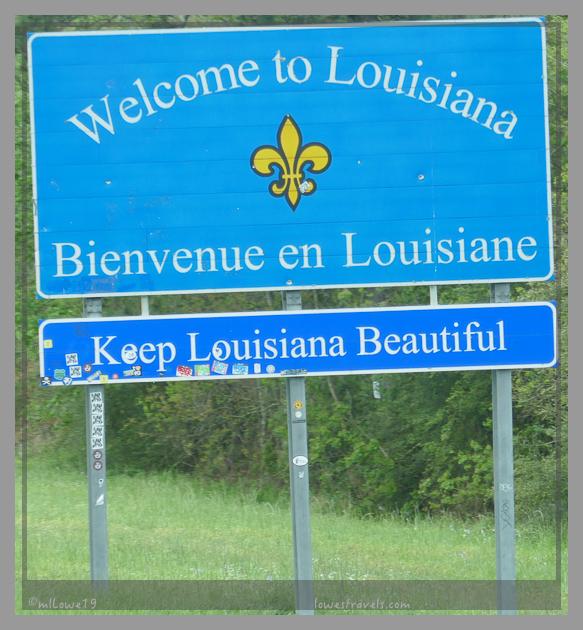 Of course everyone knows about New Orleans, but we prefer “the real cajun country”, known as Acadiana, when we visit. The history and culture of this area really set it apart. 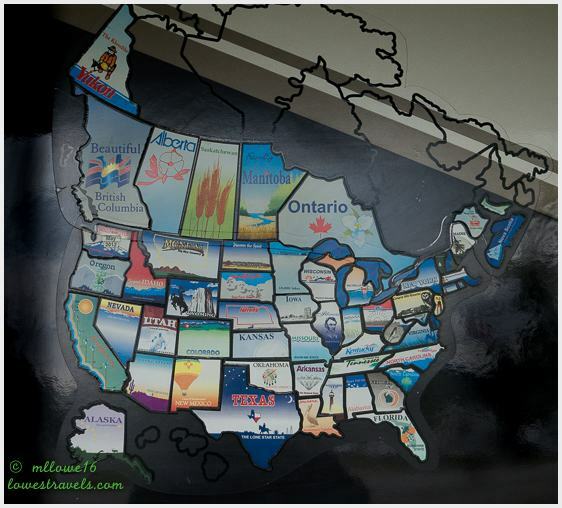 The residents here came from various native nationalities, but many are “Cajuns”, descendants of 18th-century Acadian exiles from what is now Canada’s Maritime Provinces. Our home base during this one-week stay was at the little town of Breaux Bridge, known for its Cajun and Creole culture, and its legendary Cajun cooking and crawfish dishes. 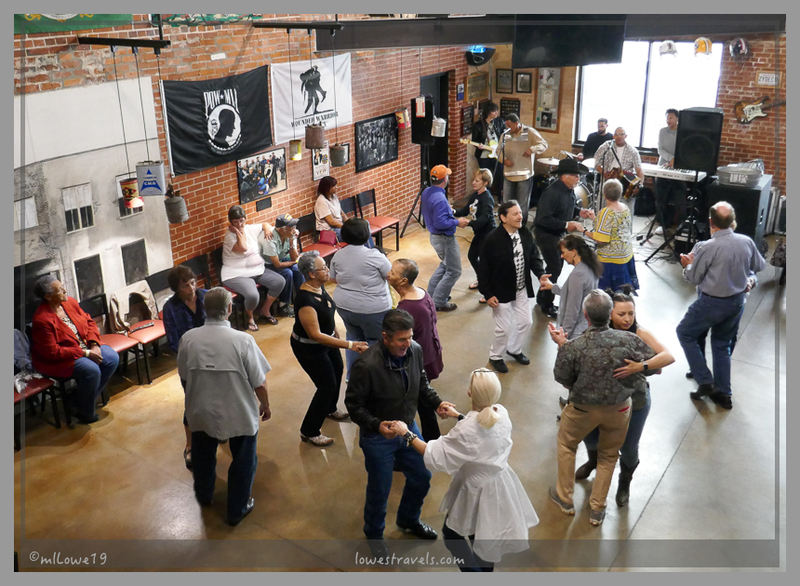 Savoring cajun cuisine is only one of the reasons we were here, another was to attend a fais do-do – a Cajun dance party. 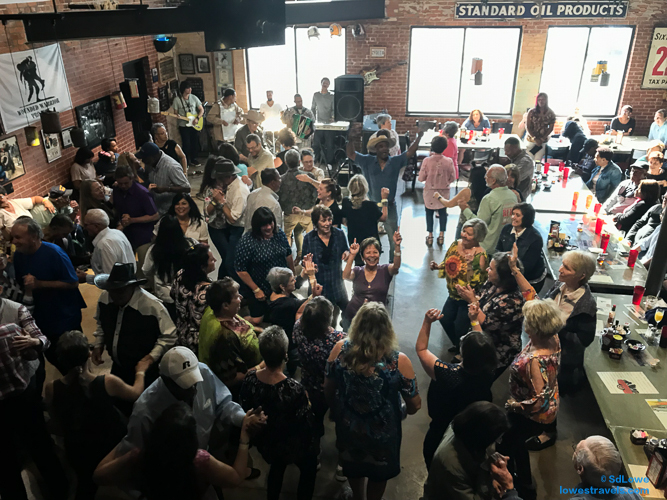 Weekends were jam session time, beginning on Saturday mornings with dancing to live zydeco music. 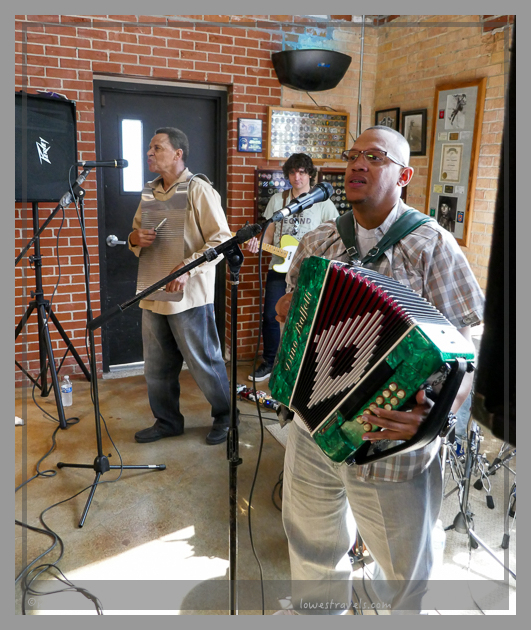 You see, Cajuns are known for their “Joie de Vivre” or Joy of Life, and they express it by pumping up high energy music featuring an accordion! 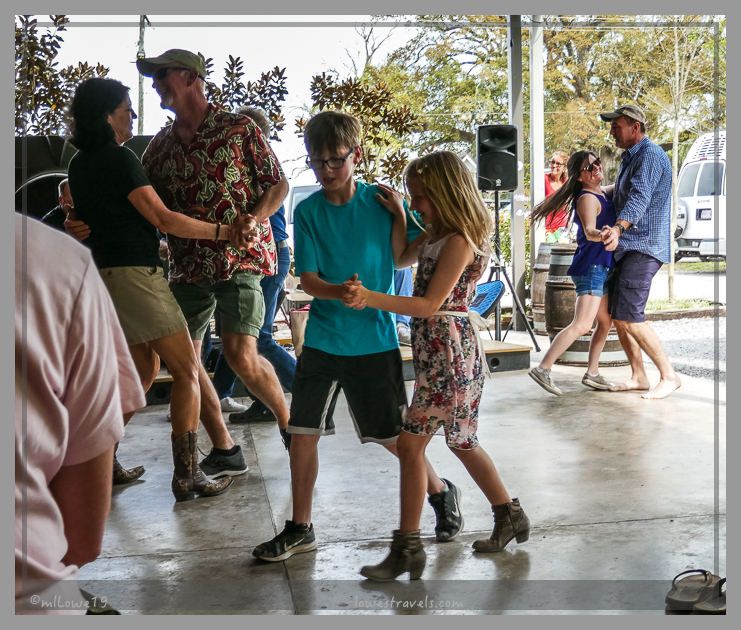 In the thick of dancing to the Zydeco beat, with tourists like me filling the dance floor! 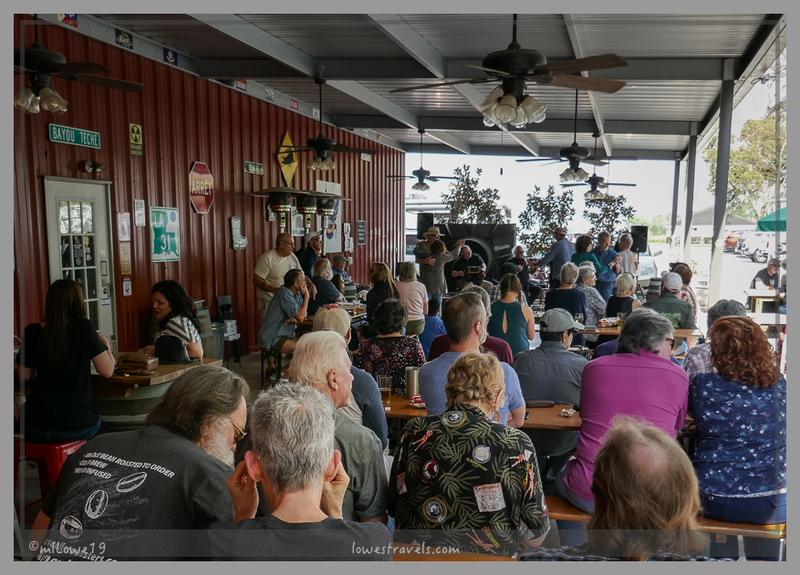 After taking a recovery break back at Poches Fish Camp where Betsy was parked, we headed over to a big event at Bayou Teche Brewery. The band BeauSoleil, a 2-time Grammy winner, happened to be playing that day. Using an accordion and fiddle, they’ve captured the rich Cajun traditions of Louisiana with an infectious beat, and wow were they good! 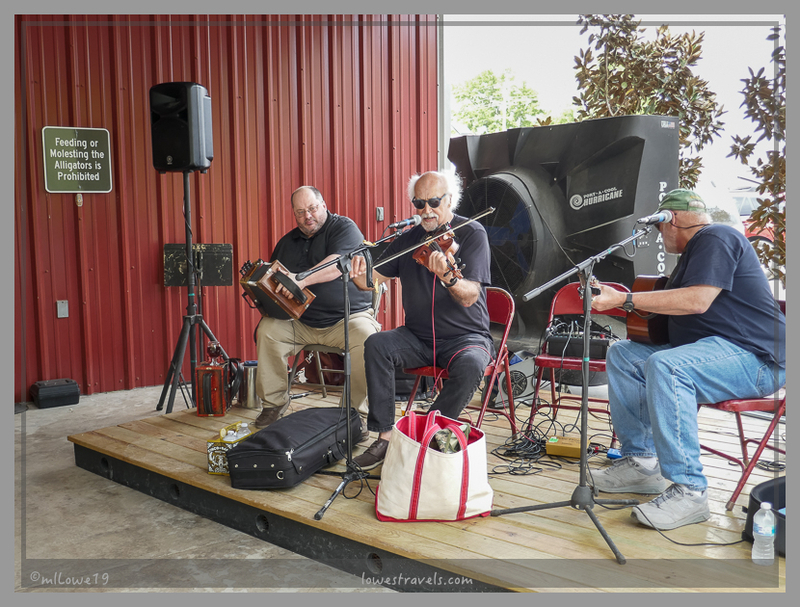 The sounds of BeauSoleil were definitely music to our ears! It was a Saturday filled with music, food, and dancing. These folks know how to party! So what else did we eat? 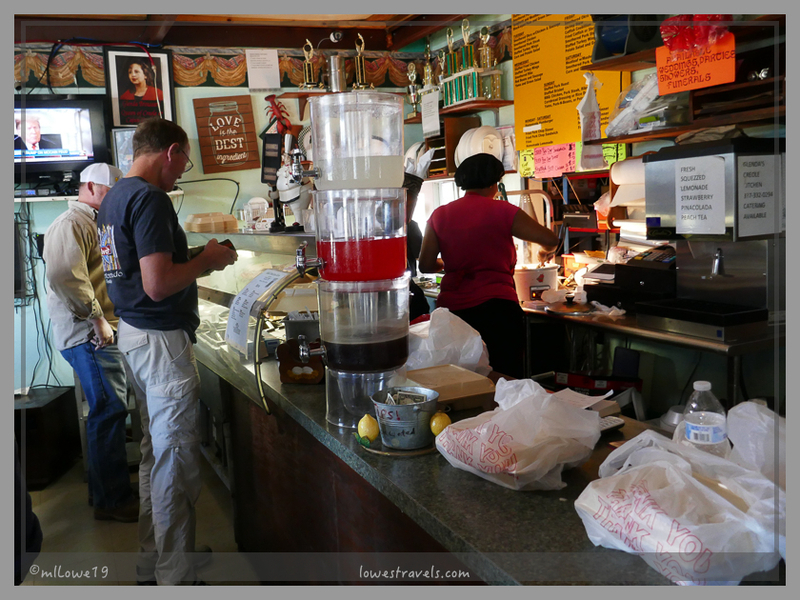 We had our initial taste of Cajun food during our first visit in 2013, and we vowed then to come back and stay longer. This time we had a long list of foods to enjoy, and Steve was happy that there were no dishes to do for a whole week! Creole food contains influences of multicultural heritage born to settlers in French colonial Louisiana, and more specifically in New Orleans – hence Creole food is referred to as “city food”. Cajun cuisine is referred to more as “country food”, prepared by people that descended from the families of the original Acadians. These were Canadians of French descent who immigrated to the region from Nova Scotia after being expelled by the British in the mid-18th century and found sanctuary in southwest Louisiana. Cracklins – let’s not talk about cholesterol numbers right now! The other distinction is that Creole cuisine uses tomatoes, while traditional Cajun food doesn’t. We enjoyed both of these iconic dishes the entire week, especially loving the crawfish étouffée, a staple in both Cajun and Creole cookery. It’s a rich dish that pairs crawfish tails with a light, blond roux served over rice. And then there’s Boudin (boo-dan), a Cajun sausage link made of pork, pork liver, rice, onions, and spices stuffed inside a chewy casing. I preferred mine stuffed with crawfish, but it was all excellent. And remember that icemaker that Steve fixed weeks back? Well, we had to remove it from our freezer to make room for Cajun food and fit it with all of the fish we’d already collected! Pizza topped with crawfish – is there a cardiologist in the house? Breaux Bridge is the world’s crawfish capital, and beginning in 1960 it started celebrating with a crawfish festival. Our timing was a bit off since it doesn’t happen until early May. 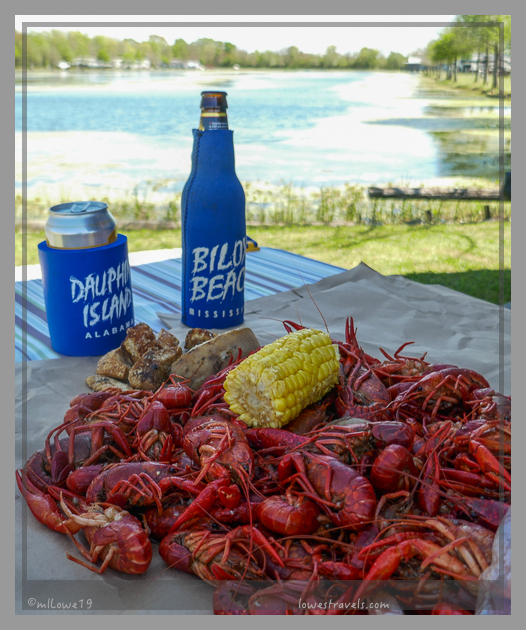 Fortunately, we were here during the early crawfish season so we were able to put a dent in the crawfish population! The crawfish boil is a tradition that holds a special place in Cajun culture. While here, we heard an old Cajun story that goes like this: in the 1700’s when ancestors of the Cajuns were forced to leave their homes in Acadia (now Nova Scotia), the lobsters missed them so much that they followed them. Their journey was rough and long, carrying them over land and sea so by the time they arrived in Louisiana they had shrunk into mini-lobsters. Later they were renamed crawfish and thus these iconic creatures have become inextricably woven into the culture and traditions. Crawfish do taste a bit like lobster! From boiled crawfish to gumbo, boudin to cracklins, and red beans to pralines, we enjoyed the local food with gusto. At the end of the week we had accomplished our goal – we came to eat…and boy did we…and our scale proved it! 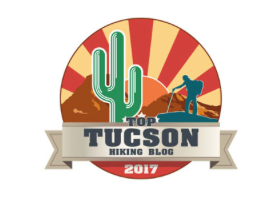 Looks like a ton of fun and good food….I bet you couldn’t wait to get to some good hiking territory after this stay! 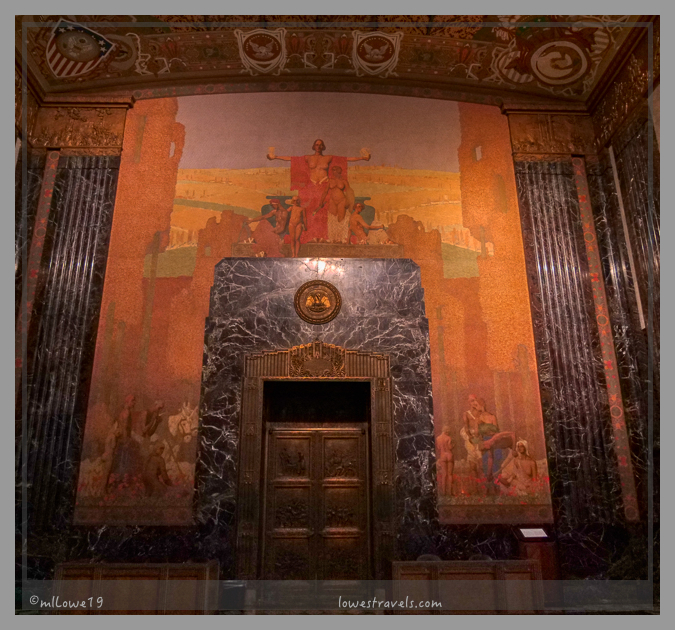 Thanks for taking us inside the capitol building … so many interesting little details. Didn’t realize Huey Long had been assassinated inside the building. 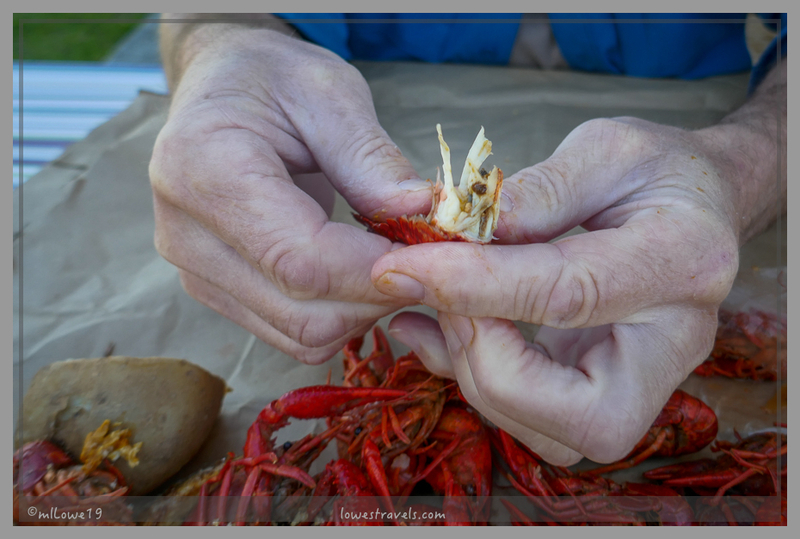 Love the Cajun story about the crawfish … though still not a fan of eating them. We wanted to get a tour but the two of us is not considered a group so we just did our own discovery. The state capitol looks very interesting. We always enjoy touring the buildings. There is so much to take in that a guide (or guide book) seems to be necessary at each capitol. Thanks for the tour! One definitely does not want to have their blood work done after visiting this area with all that wonderful food. You and Steve did a great job getting the full flavor. What a fun time! How funny we did talk about our lab works which will be done soon. We have four weeks to work it off. How fun!! We love Cajun Country! So glad that Steve has learned to appreciate crawdads. But now you have to share. 🙂 We had planned to go to Bayou Teche Brewery while we were there in January but ran out of time. So it goes back on our neverending list. Love the photo of you at the fais do-do! Laissez les bon temps rouler, my friends! At least you always have a chance of passing this way again and discover new places and things to discover. The owner/pourer at Bayou Teche gave us a list of things to do in and around Breaux Bridge but could not do it all 🙂 as you know. As I read this and saw your pictures I could almost taste the boudin, cracklins and other yummy Cajun dishes! When we stayed at Poche’s a few years ago we left with A freezer full of boudin and andouille. Now I feel like I should make some gumbo! Ha ha, remember that freezer full of fish from Florida, well we did not make a dent instead Steve removed the ice maker to make room for boudin,crawfish and gumbo! Ayyyeeee (that’s Cajun for “wow” 😁) you’re not only jammin’ down the road, you’re jammin’ with the blog posts! I wasn’t sure I’d like a food post, but you made it all look really good. I’d type more, but I’m too hungry now. This is actually my first food post, I could not resist we ate too much while there. Dave can eat enough crawfish for both of us. When we were in the area a few years ago we attended an etouffee cookoff, now that’s something we both like. 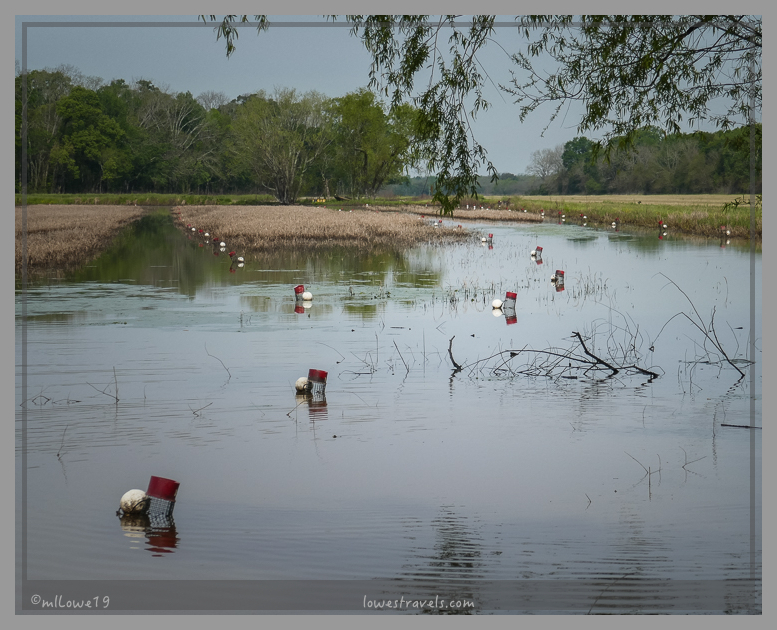 We’ve also visited a crawfish farm down in that area. So much rich history there. 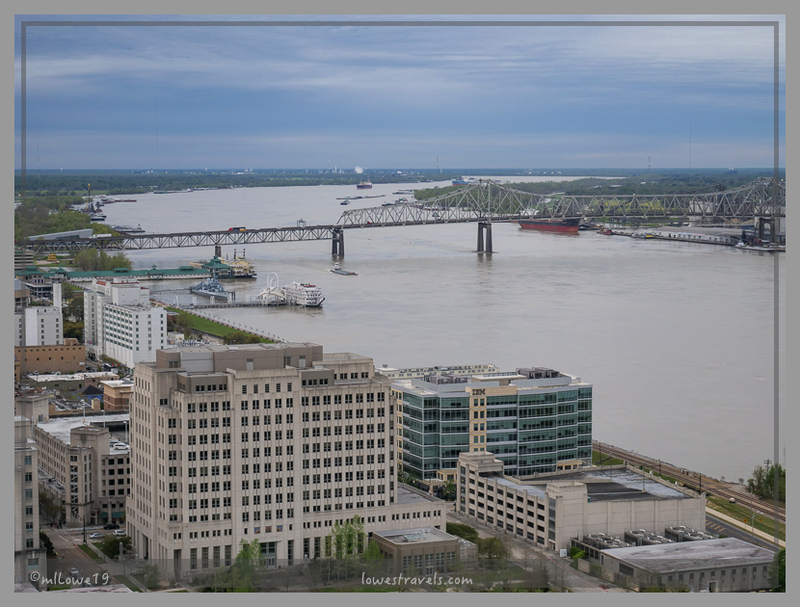 We thought a week was enough, well there is so much to do and still more cajun food to taste. Goodness me! That’s a lot of food and music, MonaLiza. I’ve never had crawfish but would be happy to give it a try; smothered rabbit not so much. 😳 Fabulous photos of your visit. I know, this is my first food post and maybe the last. 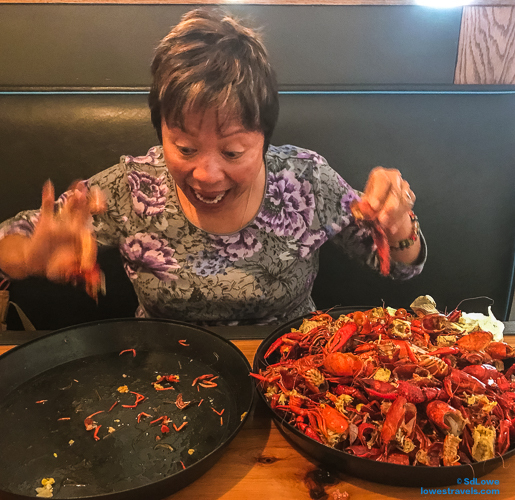 Cajun cuisine is so unique that you can’t resist getting a taste. Just found your blog. Had to laugh because we are going to Bayou Teche Brewery today. It will be our first time though we live in Southwest Louisiana. Tuesday we will be in Lafayette for all you can eat crawfish and beer. Glad ya’ll are enjoying the food. Hope to meet down the road one day. So how was your visit at Bayou Teche? Did you like the taste of crawfish? I LOVE this post MonaLiza. What a great time dancing and eating and just simply enjoying life. We have never had crawfish, and if they taste like lobster, we must give them a try. This was the most fun time we had, eating and dancing, only in Cajun country! 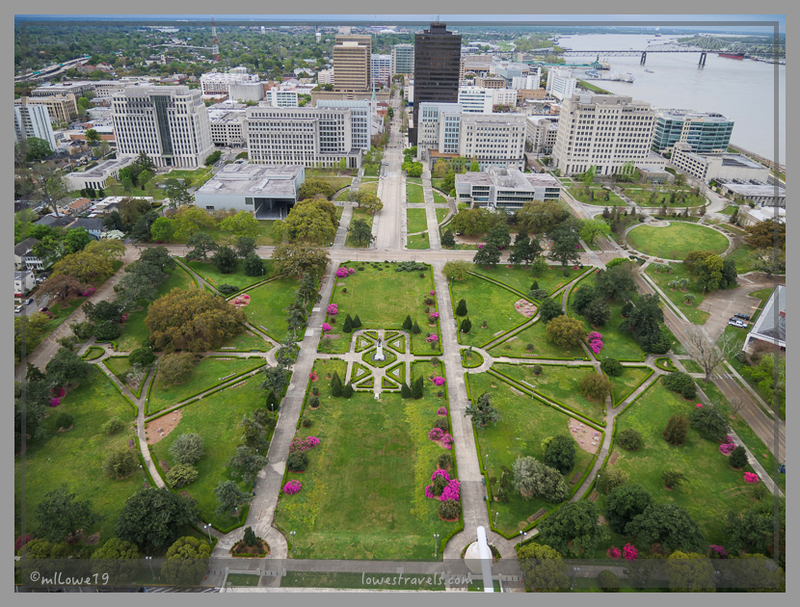 Gorgeous photos again 🙂 and I just might hop across the TX-LA border to visit Baton Rouge next weekend! Terri, have some crawfish at Willys in Baton Rogue, they had the best and let me know if you like it. That’s a lot of crawfish! We went to a boil when we were there a few years ago and loved it. What a mess though!